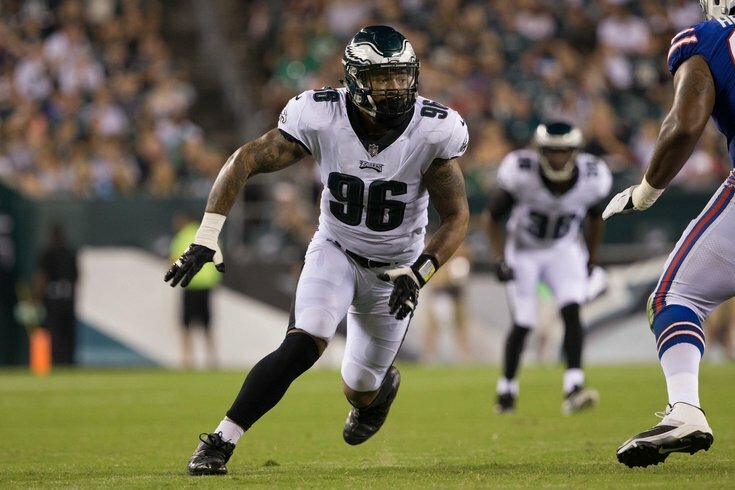 Philadelphia Eagles defensive end Derek Barnett had sports hernia surgery shortly after the Birds' season concluded, according to a source. Barnett joins a long list of Eagles players recovering from varying surgical procedures, including Carson Wentz, Jason Peters, Alshon Jeffery, Jordan Hicks, Timmy Jernigan, Darren Sproles, and Chris Maragos. Or at least Barnett did join the list of the wounded. According to the source, the recovery period is only six weeks, and the procedure should make that area of his body stronger. Do the math, and Barnett should already be recovered. Barnett had a good rookie season after the Eagles made him the 14th overall pick in the 2017 NFL Draft. During the regular season, he had 21 tackles, 5 sacks, a forced fumble that was returned for a touchdown, and two fumble recoveries. In the NFC Championship Game, he had a huge strip sack of Case Keenum with the Minnesota Vikings knocking on the door in the Eagles' red zone, and still very much in the game. In the Super Bowl, Barnett recovered the Tom Brady fumble that was forced by Brandon Graham, which was the play that provided the most drastic swing in win probability in the Eagles' favor in the game. Heading into his second season, Barnett is poised to take on a starting role at RDE. The Eagles are likely to take it slow with Barnett in the early phases of the offseason.